I only started drinking coffee once I moved to Asia. I think this was partly (or mostly) a social thing. Speaking very generally, many people in the Asian countries we've called home do not entertain in their homes, but instead will meet you out for a beverage. In Macau, this happened very often. I'd meet a friend for coffee, and would scan the menu and find the sweetest, coldest coffee-containing beverage I could find, and then nurse it for the hour I was chatting with them. 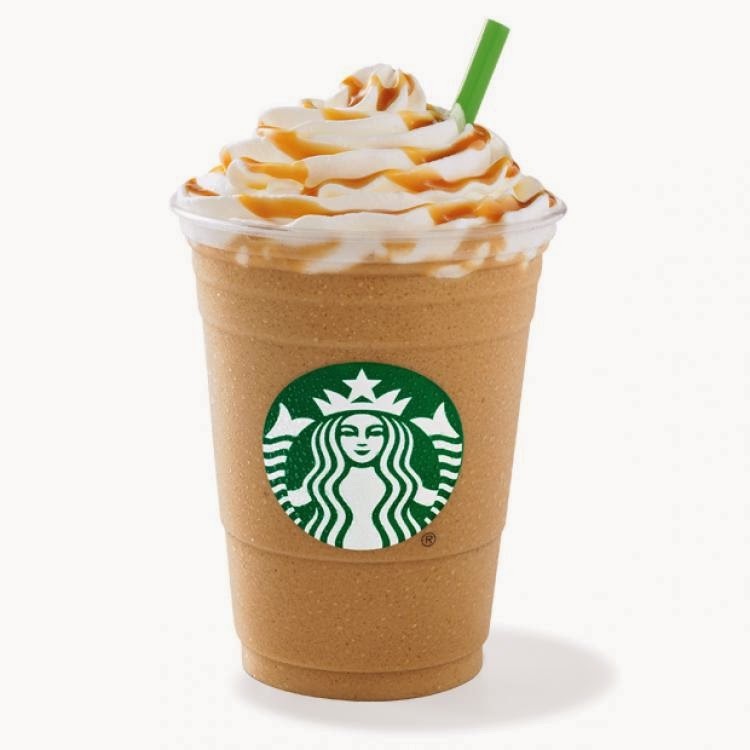 When we were meeting at Starbucks (there were a whopping two when I lived there), I gravitated toward the Frappucino, which is pretty much blended ice and sugar, with a splash of coffee. If I was somewhere else, I'd still stick with something iced and sweet. On this trip to America, I got an iced coffee and my Dad, who drinks his cuppa joe hot and strong and black, kinda flipped out. You are drinking coffee?? he exclaimed. Yep. Sort of. I mean, I'm sure there's some in there, right? Also on this trip to America? The pleasure of seeing my name, Heather, spelled properly on a Starbucks cup. The "TH" sound does not exist in Chinese or Japanese, so Heather (and my son's name, Nathan) always gets butchered. Side note: in all medical or professional settings, my first name has been completely lost and instead I've become the far-more-easy-to-pronounce Rose. It's technically my last name (when you add a hyphen and a Chase), but I've somewhat come to terms with the fact that in China, Heather is off stage in the wings, waiting until we're back in a western country to emerge. Oh well. I do think Rose is a pretty awesome name, or else I wouldn't have kept it! All this to say that I've not ever seen Heather spelled anywhere near properly in Hong Kong, Japan, Macau, or China, the four Asian countries we've lived in or visited since I started drinking coffee four years ago. I've seen Heaven and Head and Heesaw and plenty of other mangled attempts. But at least they were attempts! I know were the roles reversed, I'd mangle plenty of Chinese names. At the Starbucks on my street here in Shanghai, which is small and quiet and generally only has two people working at a time, they don't even ask for my name, they just know it's me. So actually seeing Heather on a cup gave me a little thrill. And speaking of thrills, the last time I posted about coffee here, I mentioned that I was giving myself diabetes by drinking a crazily decadent candy-laden coffee beverage so that I could earn a bracelet and charm from Starbucks. I also mentioned that if anyone wanted to get me a Christmas or birthday gift, a bracelet is the perfect thing because I'm crazy about them. And you know what? My most faithful reader, Rachel, took that to heart and did indeed get me not one, but two bracelets for my birthday! I got them in the mail at my in laws' house the day before we left America. I adore them because they are my favorite color (green, green, I'm a queen), but also because of the story of how they came to be. They are made by children rescued from the streets of Kenya, little pieces of art which are sold to fund education and housing and medical care. They are made of little strips of colored paper, carefully rolled into beads! If you are interested in reading more about it, or in purchasing any products to go toward this amazing effort, please check the link here. Thank you so much Rachel! I love them! And one more thing that is coffee related... Come October, everyone in America flips out (for better or for worse, with love or hatred) over all the pumpkin flavored everything. And I have to say, this makes me sad. I love pumpkin flavored anything. And sadly, pumpkin flavored things here in China taste pretty much like raw pumpkin (I nearly wept into a "pumpkin cheesecake" I'd ordered, which was raw pumpkin with some cheese. Okay, I actually wept.) instead of the cinnamon-y sweet, spicy warm flavor my fellow Americans enjoy back in the US. While they get Pumpkin lattes, we get red bean lattes (kinda like sweet refried beans) and green tea frappes. Because I'd started drinking coffee after leaving America, I've never had the pleasure of enjoying (or possibly hating) a pumpkin coffee beverage. However! While on a binge-shopping trip to Target in Los Angeles, I came across a clearance priced package of Starbucks Pumpkin Latte mix. I brought it home. I made it. I loved it. How much better must the actual, non freeze-dried version be? I will say this... if anything tips the scales and makes me want to move back Stateside, it just might be the plethora of pumpkin deliciousness that springs up come October. Just sayin'. It's a boy mommy thing. I find myself laughing about the same things. By the way, Epcot has a stand in their Africa section that sells those bracelets. Disney ships all of their media printed papers and old maps to Africa and the beads are made out of it. They make the bracelets and send it back to Disney. It also funds the community. Can't remember the name. Great post. I have not had the chance to try Pumpkin spice latte either. I am a new coffee drinker myself. LOL! Glad you are feeling better.